Economic Development Foundation – New Mobile Web Site! The Economic Development Foundation (EDF) in Grand Rapids Michigan has a new mobile web site located at http://EDF504.com. 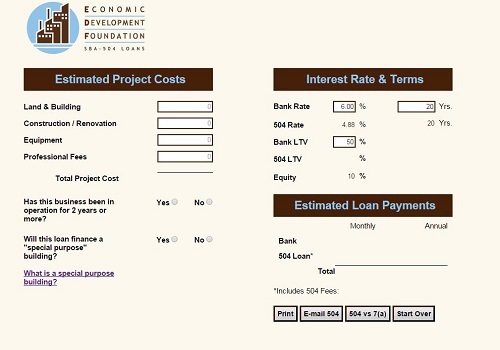 The site provides detailed estimates of loan payments, facilitates communication, and deepens relationships between EDF loan officers and Lenders, such as banks, credit unions and other financial firms. 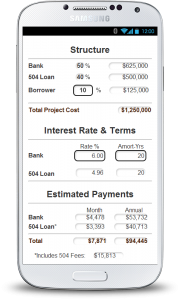 The central features of the mobile site are the detailed loan calculator for any project, and easy access to the “one-click-to-dial” buttons. A potential or existing customer can make quick calls to any EDF loan officer with those buttons. As part of their overall technology update, the firm also added a new and expanded 504 loan calculator to their desktop web site, which is located at GrowMichigan.com. 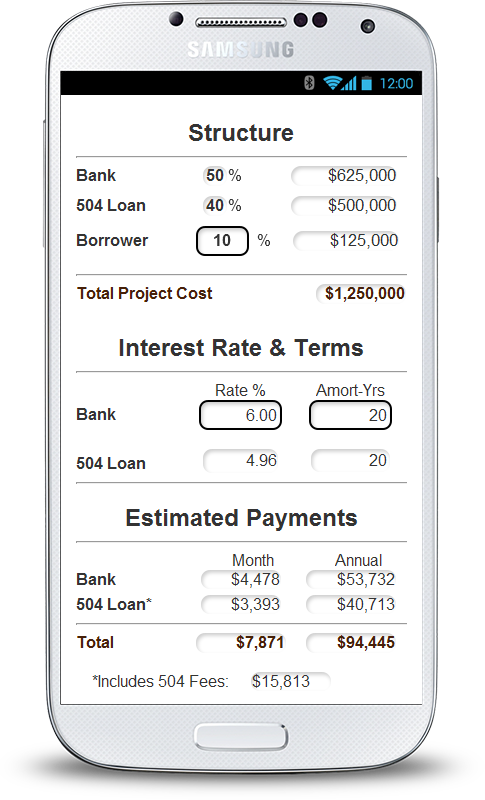 This calculator allows Lenders to get accurate estimated payments for all potential loans they are discussing with clients. This new calculator is much more complete than their previous one and allows EDF to see what loans are under consideration by Lenders. Economic Development Foundation has made an investment in technology that should help them stay ahead of their competitors. Congratulations to Executive Director Sandy Bloem and the whole EDF team! This entry was posted	on Wednesday, December 10th, 2014 at 7:17 pm	and is filed under 504 Loan Calculators. You can follow any responses to this entry through the RSS 2.0 feed. Both comments and pings are currently closed.